If something happens to my daughter I’ll kill you. Just when you think that an icon such as Jean-Claude Van Damme is becoming a caricature of himself and in danger of sinking into oblivion, he surprises you with such a part as in this film. The “Muscles from Brussels” got under my skin with his integer and sensitive acting. No bulging muscles and a long stretched primal cry accompanied by a grimace. He already demonstrated this in the 90s extensively. The years he peaked with classics such as “Bloodsport“, “Double Impact” and “Sudden death“. In those days you couldn’t come in a video store without a combative JCVD staring at you threateningly from the shelves. Unfortunately it went from bad to worse. And he hit rock bottom with the film “Alien Uprising“. What a crap movie this was. Unworthy of Jean-Claude Van Damme. Van Damme proves in “The Bouncer” (original title “Lukas“) he’s capable of doing more than just effortlessly cracking coconuts between his two muscular buttocks. Verily, he even shows here some acting talent. Not that he has to grasp deeply in his box of tricks. All he has to do is stare gloomy and tired. And occasionally he needs to handle a situation emotionlessly as the bouncer in less kosher establishments of Belgium’s nightlife. Well, someone who hates Van Damme would say that. I thought it was magisterial what he demonstrated here. He plays an old man who knows the ropes. Such an individual who doesn’t shy away from a brawl with other mean-looking fellows, as a job application. Someone who carelessly licks his wounds and puts a firm bandage over his wounds and then moves on to the order of the day. In short, a tough guy. A tough guy living a tough life. And yet this bad-boy has a golden heart. The way this single father takes care of his 8-year-old daughter Sarah (Alice Verset) is endearing. Lukas experienced some major setbacks in his life. Things he still hasn’t recovered from. And the fact that it doesn’t go smoothly financially, only makes it more difficult. A regrettable accident in the club where he’s working as a bouncer causes additional problems. In such a way that he also takes up a job at a nightclub where it’s not only dark for the clientele (so they can discretely do their thing). But also they carry out activities which shouldn’t be noticed by the authorities. French, Flemish and English. Well, it’s Belgium. “The Bouncer” is not an action-packed film. In the end, it’s rather depressing. Grayish back streets, dark clubs, and brutal crime. That’s what you get served. I myself am not so familiar with the region where this all takes place. The Brussels region isn’t a known area for me. Because of the mix of languages (Dutch, French, and English), the film also got a more international character. And the recruitment of Kevin “Revenge” Janssens and Sam Louwyck, the two companions who hire Lukas as a bodyguard, gave it a Flemish cachet. I myself am not such a big fan of home-grown films. But cinematographically this was of a completely different level. A gritty movie with no splits. “The Bouncer” is a straightforward film in which clichés aren’t avoided. Jean-Claude Van Damme shines in this film. He’s constantly in the picture and carries this movie effortlessly. No, don’t expect him to demonstrate that he’s a master in combat techniques. 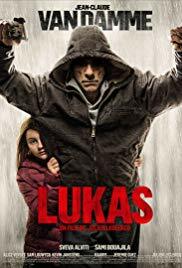 Lukas is a sturdy, tough guy who can throw punches and can take punches effortlessly, but he won’t do splits in this gritty film. The acting of the two criminals is also far from bad. Especially Sam Louwyck is pretty intimidating. The conversations between him and Lukas are extremely successful. Kevin Janssens’ hairstyle stands out most. Could you talk about a rebirth of Van Damme? Who knows. Maybe I should give “Black Water” a chance, even though I’m sure I’ll be disappointed.